VietNamNet Bridge - More foreign investors are attempting to take over Vietnam’s finance companies, which are in a ‘golden development stage’. Most recently, Japanese company Aeon, a well known brand in the retail sector, has also shown its intention to jump into the Vietnamese finance market. Masai Suzuki from Aeon Finance Services, at a working session with Deputy PM Vuong Dinh Hue, said Aeon plans to expand its business into the financial investment sector by taking over existing foreign finance companies or state-invested companies. Analysts said South Korean investors are showing big interest in Vietnam’s banks and securities companies as they estimate that Vietnam’s consumer finance market may have value of VND1,000 trillion in 2019. The figure was VND646 trillion in 2016. More surprisingly, Thai Srisawad Group has expressed its willingness to buy ALC I, belonging to Agribank, which is incurring big losses. Srisawad promised to pay back 100 percent of ALC I’s charter capital which Agribank invested (VND200 billion), and the principal of VND323 billion ALC I borrowed from Agribank, in exchange for the full ownership of the finance company. 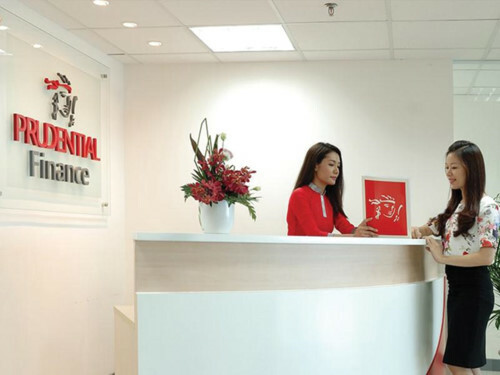 Earlier this year, Shinhan Card from South Korea received approval for its deal to take over Prudential Finance Vietnam. The value of the deal was reported at $151 million, or VND3.4 trillion. Last August, at a meeting with Deputy PM Vuong Dinh Hue, Lim Yong Jin, chair and CEO of Shinhan Card, affirmed that Shinhan considers Vietnam a key market to invest in, and that Shinhan will focus on the consumer finance sector. Many other deals have been reported, including the transfer of Techcom Finance into Lotte Card, the purchase of 49 percent of MB Shinsei Finance’s shares by Shinsei Bank. Meanwhile, Credit Suisse and Deutsche Bank have also bought into Vietnam’s finance companies, including FE Credit. Experts say that investing in the finance and banking sector is a growing trend among foreign investors. Reports from the Ministry of Planning and Investment (MPI) confirm the trend. In 2017, Vietnam attracted $88 million worth of FDI in the field, and in 2018, $82 million. Michael Dc Choi from Kotra said that Vietnam’s banking and fintech sectors will be the favorite destination for fourth-generation South Korean investors. Currently, Vietnam’s consumer credit accounts for 18 percent of total outstanding loans, which includes credit related to housing. If not counting the housing credit, the figure would be 12 percent. Meanwhile, the proportion is 34 percent in ASEAN, and 21 percent in China. According to CEO of FE Credit Kalidas Ghose, the figure is 40-50 percent in developed countries. There are 18 finance companies in Vietnam, six of which are foreign invested.